Are you ready to buy your first set of lathe chisels? Do you need a gouge, scraper, or parting tool? Or all of the above? Here’s some great buying advice that will help you choose your chisels. 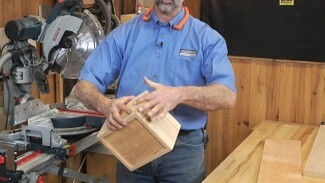 In addition to learning what chisels you need, you’ll see how the chisels are used. Sorry, Frances, but I’m not sure what you mean. The video is playing correctly for me. It is playing properly for me also……….. Thanks George, I just bot a lathe so after a few decades since my last turn I enjoyed your bit of a refresher As always, your videos get us back in the shop. Thanks for a great refresher. 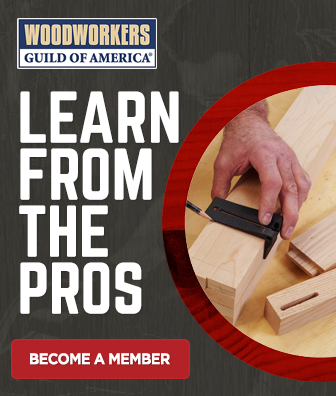 I’m a Premium Member of WWGOA, but I still appreciate all the free info you provide woodworkers to keep them safe and productive. The roughing gouge will take a spindle from square to round faster than a large spindle gouge, and leave a little better result behind. The tool that you are referring to is called a wood lathe. Woodturning is generally considered a woodworking discipline that is related to, but different from carving. With traditional carving, the wood is held stationary while using carving tools to shape the wood. 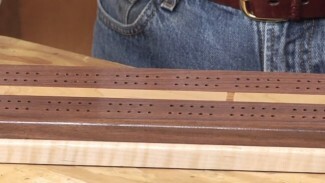 With woodturning, the wood is spinning and the chisel is held stationary. It is my understanding that whenever you purchase a set of lathe chisels they are not ready to be used as you must sharpen them and hone them first. I also understand that when you sharpen them you grind the chisel to your desired angle, 60deg, 45 deg, or whatever. What do you consider to be a good angle for beginners? I figured that I would start off with pen building then moving on to bowls etc. Do bowls etc. 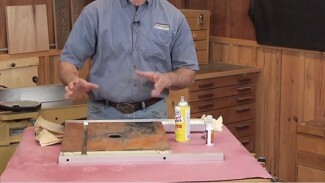 require a different set of chisels? Please elaborate, thanks. Great question. Yes, it is common that new lathe chisels are not ground to a very effective angle, and you might choose to modify to suit your preferences. If you need to make significant changes to the shape, do this slowly with a coarse grit (60-80 grit), and dip the chisel frequently into water to prevent it from being scorched. I suggest starting out with a 45 degree angle, and after you have some experience you might choose to modify from there. For bowl turning it is nice to have gouge with a more heavily tapered angle (60-70 degrees) so that you can more easily make the transition from the side to the bottom of the bowl, which is a common place for the gouge to catch. For that application you can also experiment with swept back wings (Irish grind). If you look at the two gouges on the left, one is listed as a 1/2″ bowl gouge, and the one to its immediate right is a 3/8″ spindle gouge. Notice the thicker and longer shank on the bowl gouge? That is because the bowl gouge will be under greater stress and needs to be beefier, and the additional length is necessary for reaching inside of a bowl. It would be a bad idea to use a spindle gouge on bowls as it could bend or snap the tool.